At the height of the ritual, the former slave unleashed his powers and Azir was blasted from his place on the dais. Without the protection of the runic circle, Azir was consumed by the sun’s fire as Xerath took his place. The light filled Xerath with power, and he roared as his mortal body began to transform. It was too much, but no tears welled in Azir’s eyes. His Ascended form rendered that simple act of grief forever lost to him. With a heavy heart, he pushed himself to his feet. The question remained as to how his bloodline survived, for it most assuredly had. His friend uttered a silent word. Azir watched himself shatter like glass, exploding into motes of sand. The traitor’s expression was unknowable, but Azir could see nothing but the face of a murderer. Where did such hate come from? Azir had never been aware of it. The sand image of Xerath rose higher into the air as the Sun Disc's energies focused into his being. A cadre of elite guards rushed toward him, but they were all far too late. A brutal shockwave of sand flared out, disintegrating the final moment of Shurima. Azir stood alone among the dying echoes of his past. This is what killed his people. Azir turned away, just as the first rays of the new dawn struck the Sun Disc overhead. He'd seen enough. The sand image of the transformed Xerath collapsed behind him. 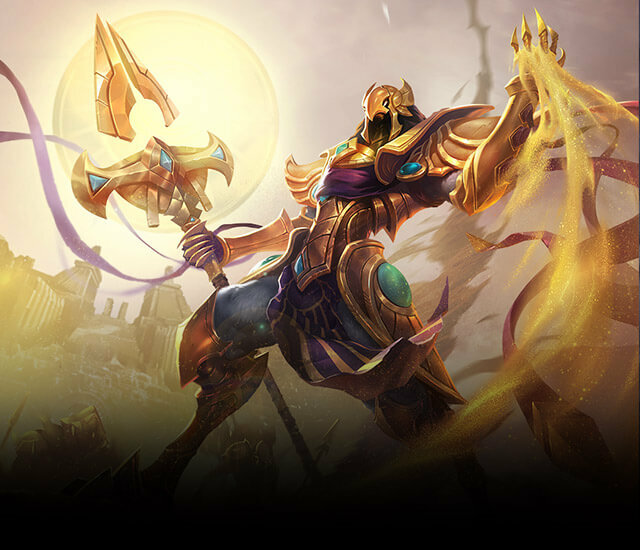 The dawn sun reflected blindingly off Azir's flawless golden armor. In that instant, he knew that the traitor still lived. He sensed the magus’s essence in the air that he breathed. 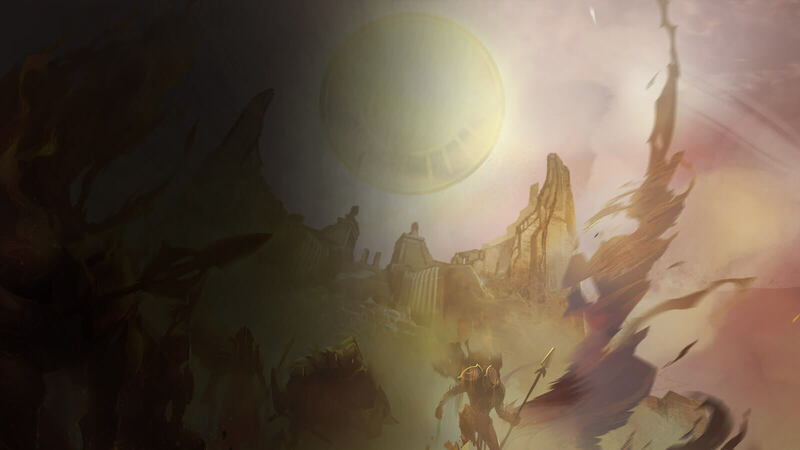 Azir lifted a hand, and an army of his elite warriors rose from the sands at the base of the Stairs of Ascension.